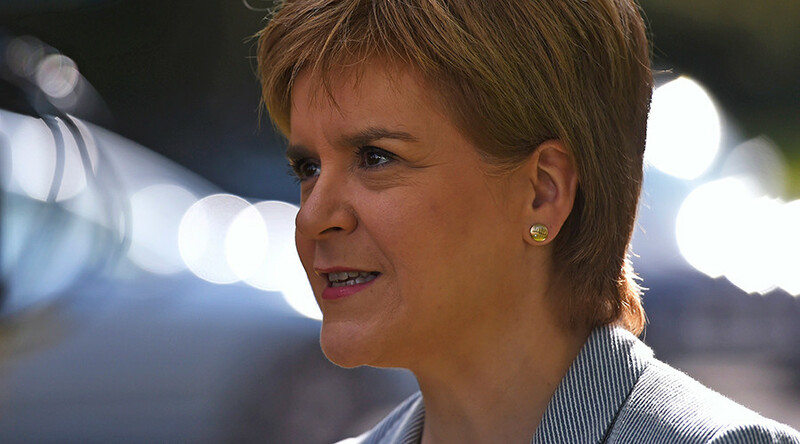 Scotland's First Minister Nicola Sturgeon says the Scottish government will immediately engage in talks with the EU to protect Scotland’s position in the bloc. She said steps were being taken regarding a possible second independence referendum. "A second (Scottish) independence referendum is clearly an option that requires to be on the table, and it is very much on the table," she said, speaking outside Bute House in Edinburgh. "To ensure that that option is a deliverable one in the required timetable, steps will be taken now to ensure that the necessary legislation is in place," she added. This follows a meeting with her cabinet meeting on Saturday to discuss the next steps the government should take after the UK voted to leave the UK. Scotland voted overwhelmingly to remain. Sturgeon said she would seek direct talks with the EU leadership and presumably with European Commission President Jean-Claude Juncker, European Council President Donald Tusk and the president of the European Parliament Martin Schulz in the coming week. “We will seek to enter discussions with EU institutions and EU member states for all possible options to protect Scotland’s place in the EU. In doing so, we are determined to draw on as much support from across Scotland as possible,” she said. The Scottish leader thinks Westminster is engulfed in political turmoil, though she stopped short of announcing a second referendum. Scotland voted 62 to 38 percent to remain in the EU in the referendum on Thursday, sharply contrasting with Britain's overall 52-48 percent vote to leave. 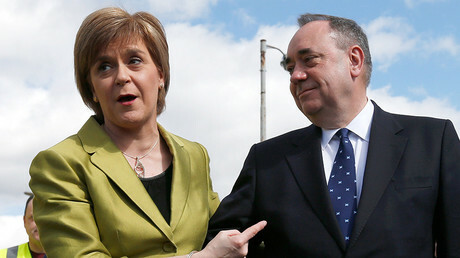 That result could be justification for another independence vote, the Scottish government argues. On Friday, the former head of the Scottish National Party Alex Salmond reiterated former pledges that Scotland would not be pulled out of the EU, and that the public should have the right to another referendum on gaining independence from the UK. Meanwhile, Angus MacNeil, an MP for the SNP, told RT he believes that a new Scottish independence vote is likely to happen, and it is only a matter of when it takes place. Around 250 protesters gathered in Glasgow on Friday night to protest the UK’s exit from the EU. Many waved European Union flags and the Scottish flag, as well chanting that immigrants are welcome in Scotland. “This campaign brought forward the most poisonous elements of our society to the surface on both sides. Racism and prejudice,” anti-racism campaigner Johnny Otis told the Daily Record. “People are desperate for change. People are desperate for jobs and services,” he added.